NOTE: Click on the appropriate links for archives from 2018, 2017, 2016, 2015, 2014, 2013, 2012, 2011, 2010, 2009, 2008, 2007, 2006, 2005, 2004, 2003, 2002, 2001, 2000, 1999, 1998 and 1997. I write to you every so-many years, usually after reminiscing about my 1960s-1970s childhood, especially the toys. Its cool too see that your site is still here after all this time. Personally, I stumbled upon it accidentally at least 10 or 15 years ago. I revisit it from time to time, and I always enjoy it. 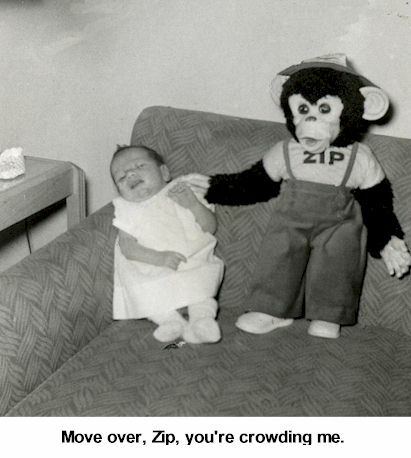 I was born in '61 and I had a Zippy The Chimp. My name is Sue. I just (March 7, 2019) sold my Burbank home that my family owned since 1957. Very hard and feeling so sad for saying goodbye to Burbank I perused all things Burbank this morning. I have read things from your site before but this morning I really spent time with it. I was born in 1959 and I am sure went to all the same schools as you. I know I was at Vickroy park around the same time as you making the gymp thingy's. Anyway I am wondering, while you were in Sav-On, if you remember a colorful lady named Tibby? Orange hair, wild cat eye glasses and too much blush? Probably in her late 50's early 60's then. This was my aunt Tib. Great stories in your ode to Burbank and I loved it all.